We are excited to announce the 10 innovative solutions for Amsterdam’s sustainable tourism opportunities that have been selected to participate in the Booking Cares Lab Amsterdam. The solutions come from both non-profit organisations and startups of varying stages. Behavioural Awareness: educating travelers about how to act more like a local, including tackling topics related to littering and street pollution, noise control, and waste management, i.e. recycling and sorting, etc. The selected innovators offer diverse solutions to the programme’s three themes from a variety of perspectives. We are looking forward to seeing how they grow individually, but also together. A SaaS platform to administer and sell self-guided digital themed audio tours for city walks, archaeological sites, museums and cultural events. Supporting local students, artists, historians, and more, ClioMuse enables anyone to be a guide by creating stories following their award-winning storytelling methodology and enables travelers to connect to local culture. Already in 24 locations with a dedicated and well-rounded team, ClioMuse looks forward to learning more about Amsterdam and its sustainable tourism objectives so they can harness the potential impact of their product. A cultural awareness app for travelers to learn about the culture of their travel destination via crowd-sourced video and content. Tailoring their guidance and explanations to the travelers’ origin country allows for a deep and meaningful relationship with cultural differences one often confronts during travel. Already hosting content for 80 countries and has been downloaded from users around the world, CultureMee is ready to continue scaling their solution. De Gezonde Stad is an existing organisation with a well-known project in Amsterdam, the Zero Waste Lab. Run by people with a distance to the labour market, the existing social & circular hotspot at the Dappermarkt activates people to separate their household waste. At the moment more than 1200 households participate, but visitors and tourists are not involved. With the help of the Lab, they will connect to hosts of homestay accommodation rentals through which they will provide travelers with the tools and knowledge necessary to be a zero-waste guest (or close to it). TravelTime platform helps people discover where they can reach within a time limit. Tourists can explore where's reachable within 15+ minutes of a location using sustainable modes of transport including cycling, walking or public transport. The app will give suggestions of where to visit that's within easy reach of the centre and help disperse tourism within the city of Amsterdam. Landmrk is a location based experiences platform that has successfully incentivised the movement of over 1.2 million people worldwide. The platform is centred around placing digital content, offers and experiences into physical locations - the content is unlocked on a users mobile phone once they arrive at a physical location that is highlighted on a branded map. The location centric nature of the platform makes it a powerful tool for travel and tourism brands and tourist destinations alike. Content lead experiences can be used to create a large variety of compelling experiences for tourists that direct them away from the usual tourist traps and open up new worlds of discovery. Tourmerang is a tech based systemic solution for a more responsible and sustainable tourism, building social, economic and cultural value for local communities. It induces and rewards responsible actions and behaviors by tourists, while helping them to enjoy more authentic and engaging experiences. It also helps local authorities to better manage the destination's touristic system, and encourages all tourism agents to provide more responsible and sustainable offers. Tourmerang is available through a mobile app and a website. A Zero Waste solution for festivals. Seavents is able to divert up to 98% of event waste from incineration by promoting behavioural change with event managers, vendors and visitors. The solution addresses tourism as tourists concentrate at events, where they create the biggest environmental impact in the shortest timespan. By putting zero-waste at the focus of the event, Seavents can also alter the way tourists interact with waste during their stay. 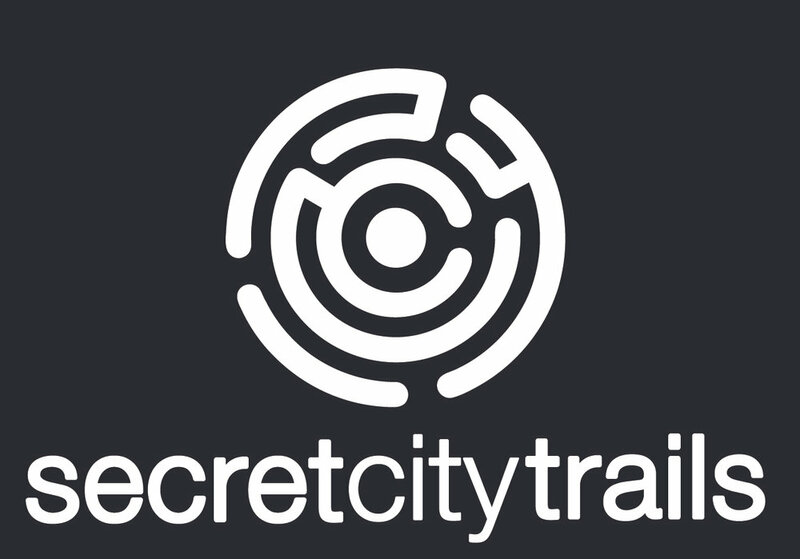 Secret City Trails takes travelers and locals on urban adventures - or city discovery games. During their games people solve a trail of riddles. Along with each riddle, they unlock stories about the sights and area they are in as well as a (secret) recommendation to hidden gems and wonderful cafes and bars. The startup began in Amsterdam and currently offer 30+ games in 14 cities across Europe. Looking to scale their impact, they can use the Lab to learn more about how they can design their tours to better address Amsterdam’s sustainable tourism objectives. Wander provides an adventurous app with curated geo-targeted recommendations, based on users location and preferences. It takes a unique approach: by not just providing information, but by thinking from a location standpoint. Where other apps flood their user with information and lists, Wander provides you with just the bare minimum amount of information in a game-like experience, when and where it’s relevant for the user. The app works as a magnet, pulling users towards high value locations, which are off the beaten track and lesser known. A previous model was tested with the city, confirming that the use of this product disperses travelers more evenly throughout the city. YourTour enables anyone to create hyperlocal GPS guided audio-visual tours of anywhere in Amsterdam via their phone in a matter of hours. From local areas to the city centre attractions, every place in Amsterdam has a story to tell and people to tell their version of the story. From historical to geological, botanical to musical, architectural to supernatural, it’s set to change the way people experience Amsterdam, bringing the whole city to life by spreading tourism all across it and not just the main attractions. YourTour has an impressive team and traction that shows their ability to use the Lab to its fullest potential and scale their solution and impact. The three day Booking Cares Lab programme kicks off 9 October 2018. We are looking forward to seeing how the innovators grow their responsible tourism solution with the support of Booking.com and representatives from the city of Amsterdam and Amsterdam Marketing. Stay up to date on the innovators and how the programme progresses here. Curious about the programme itself? Learn more at www.bookingcares.com/cares-labs.